Green Day (1990-present) is a Punk band from Rodeo, California, USA. ith the "Alternative" movement flowing like a river in the 1990s, especially with the punk revival movement afoot, Green Day was well positioned to take advantage of it. Billy Joe Armstrong (vocals), Mike Dirnt (Real Name: Mike Prichard; vocals), and Tre Cool (Real Name: Frank Edwin Wright III; drums) came together to become the founding members of a band under the name Sweet Children, a band founded by Armstrong and Dirnt, who played together since the age of 11 in the industrial town of Rodeo, California. Shortly in, however, and with so many new members they changed the name to Green Day, a term representing their idea of heaven - a day spent smoking pot. Inspired by the Ramones, two indie albums followed, each would sell over 30,000 copies. 39/Smooth (1990) was recorded in a single day. Kerplunk (1992) would follow shortly later. After they moved to 'Warner Brothers', their major album debut Dookie (1994), recorded in just three weeks, ascended the charts until double platinum status was achieved at home. It was helped greatly by heavy touring, the tracks Longview, Basket Case and When I Come Around, along with their presence at the 1994 Lollapalooza festival. Their simplicity in songwriting and execution was a formula the American public wanted, even if it was on the childish side. During their September 9, 1994 show at Hatch Memorial Shell in Boston, meyhem broke out causing 75 arrests and 100 injuries - the show was cut short by 7 songs. The 1995 follow-up Insomniac did not achieve the popular status of its predecessor but nonetheless offered double platinum awards with a more darker sound than Dookie but by the time it was released multitudes of Green Day wannabe's were flooding the market and eroding their niche. Nimrod (1997), was a much more mature and musically complex experimental recording which fared reasonably well; the tear-jerking ballad Good Riddance (Time Of Your Life) was one such example contained within. In the summer of 2003, the group was in the midst of recording new material for a new album, tentatively titled Cigarettes and Valentines, but after completing 20 tracks, the master recordings were stolen. Instead of re-recording the material, they abandoned the work to start over. It was then revealed that a band called The Network was quietly signed to Armstrong's own record label 'Adeline Records' to release an album called Money Money 2020; rumor had it this mysterious act was a Green Day side project. These rumors were never addressed by the band or 'Adeline Records', except to say that there was an ongoing dispute between the two bands. It would later be revealed that The Network was indeed a side project for Green Day along with members of Devo. 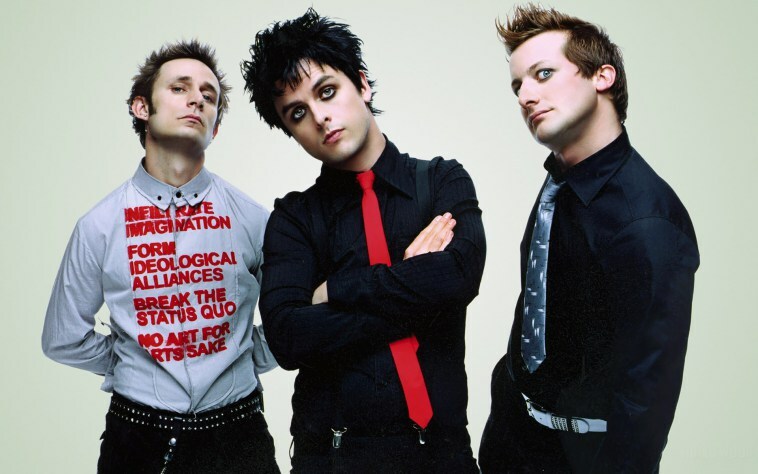 Now, with the alternative and so-called "nu-Punk" craze now behind them, Green Day's efforts at exploring more standard pop sounds came real with Warning (2000) and American Idiot (2005). American Idiot was a surprise on the rock scene of the time. Rock, in general, was in a decline and the aftermath of the incidents of 9-11 saw little reaction from the popular rock music of the time, except Green Day. The album was a loose concept album, each track could be heard individually or as an album describing a year in the life of America, the music often coming across as critical of American society. In 2008, Green Day quietly released an album titled Stop Drop and Roll!! !, under the name Foxboro Hot Tubs, which the band still uses to book secret shows. 21st Century Breakdown (2009) received positive reviews. The album achieved number one in fourteen countries, being certified gold or platinum in each; the album proved to be their best chart performance to date. Wal-Mart refused to carry the album as it contained a "Parental Advisory" sticker and requested a censored version. The band refused and publicly denounced Wal-Mart saying in part, "We've never done it before. You feel like you're in 1953 or something." Green Day got its own Rock Band video game version titled Green Day: Rock Band, as a follow-up to the last band specific Rock Band game, The Beatles: Rock Band. The game features the full albums of Dookie, American Idiot, 21st Century Breakdown as well as select songs from the rest of the band's discography. During the end of 2011, the band played several secret shows under the name Foxboro Hot Tubs. The set-list consisted almost entirely of previously unheard songs. ¡Uno!, ¡Dos!, and ¡Tré! were released on September 21, November 9, and December 7, 2012, respectively. January 26, 2013 saw the release of ¡Cuatro!, a documentary about the making of the aforementioned three albums as part of the X Games FILM showcase, and would be released on DVD April 9, 2013. Demolicious (2014) was a compilation album that contained alternate versions, demos of songs from the 2012 albums recorded during the studio sessions, and a previously unreleased song called State of Shock and an acoustic version of Stay the Night, from ¡Uno!. On Revolution Radio (2016), Jason White did not participate in the album's recording sessions; choosing to return to his role as a touring member only.